and one skein of yarn has gotten me this far on the broomstick scarf. so this is halfways. fortunately the tecnique did get a lot faster once i got the hang of it…! happened to stumble across a scarf in this stitch in a yarn shop, and, of course, have to give it a shot… so far it isn’t the fastest technique i’ve tried, but hopefully i’ll get into it. 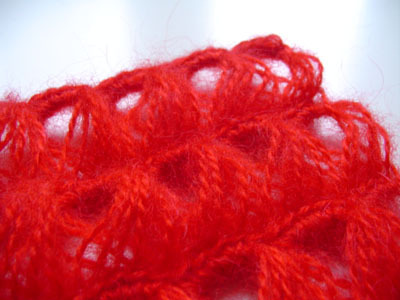 you can find instructions for the stitch here.